In-depth executive workshop on operations, marketing, laws, medical spa planning, and more! 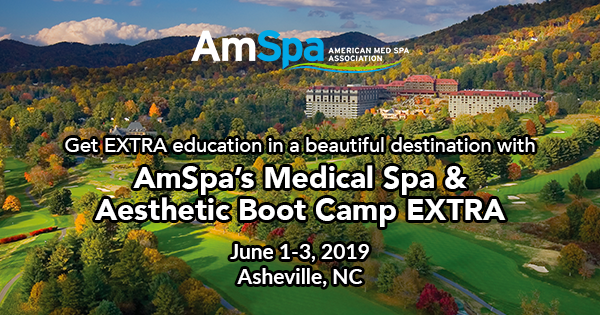 AmSpa's Medical Spa Boot Camps are intense, two-day training seminars covering legal and business best-practices in the medical spa industry. Both physicians and non-physicians alike will gain the tools to open and/or run an efficient, profitable, and legally compliant medical spa or aesthetic practice. Sign up at least 4 weeks before the event to save $75! Find a Boot Camp near you and sign up now! Contact us for exhibitor opportunities.